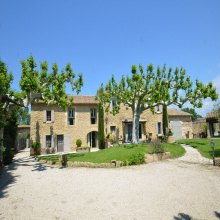 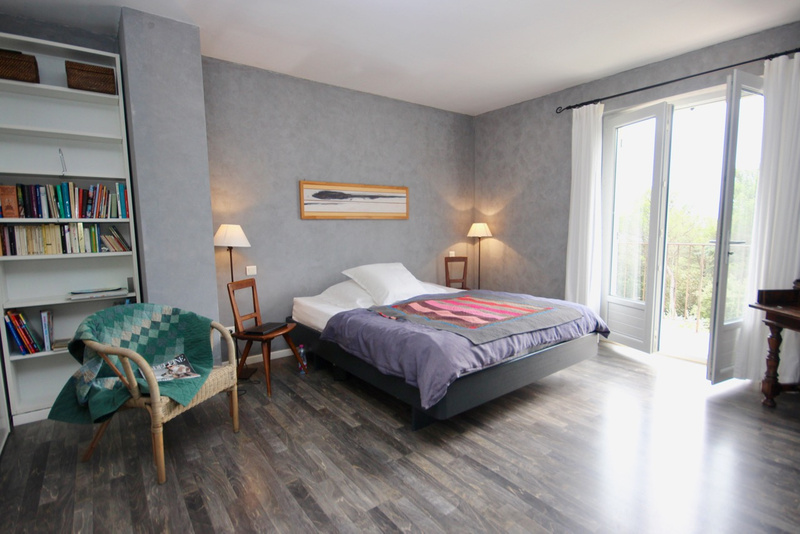 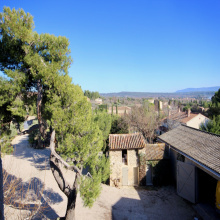 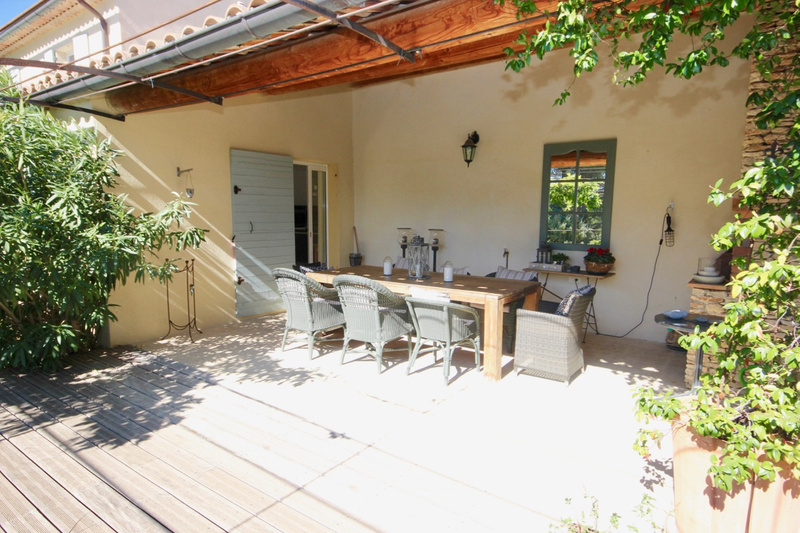 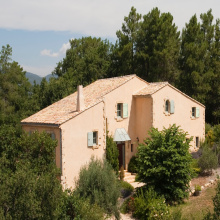 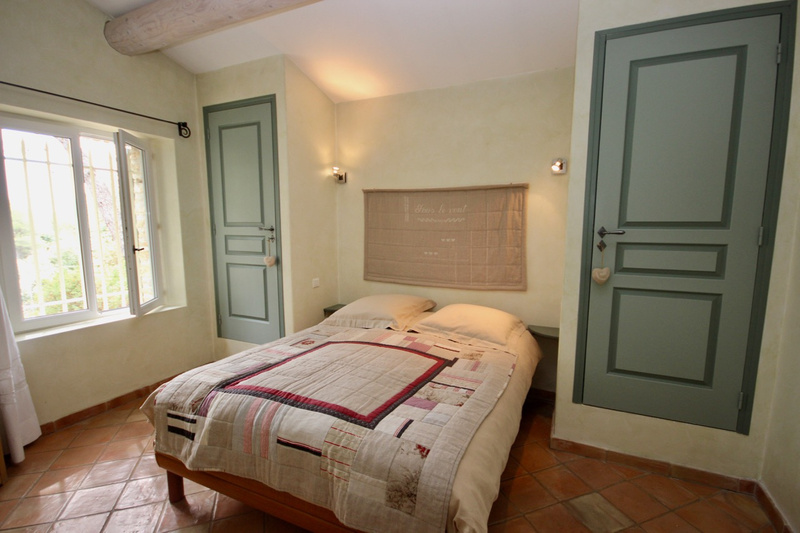 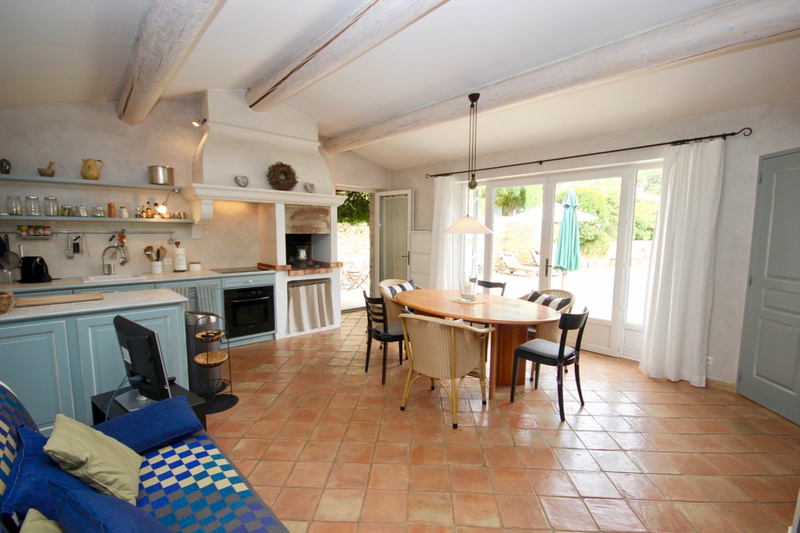 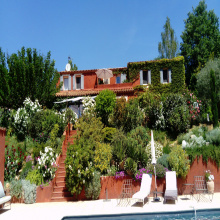 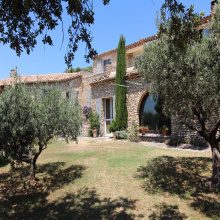 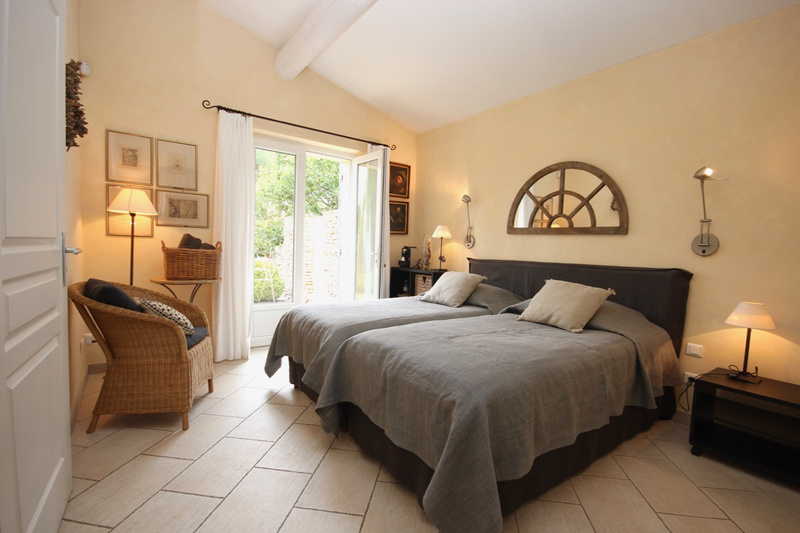 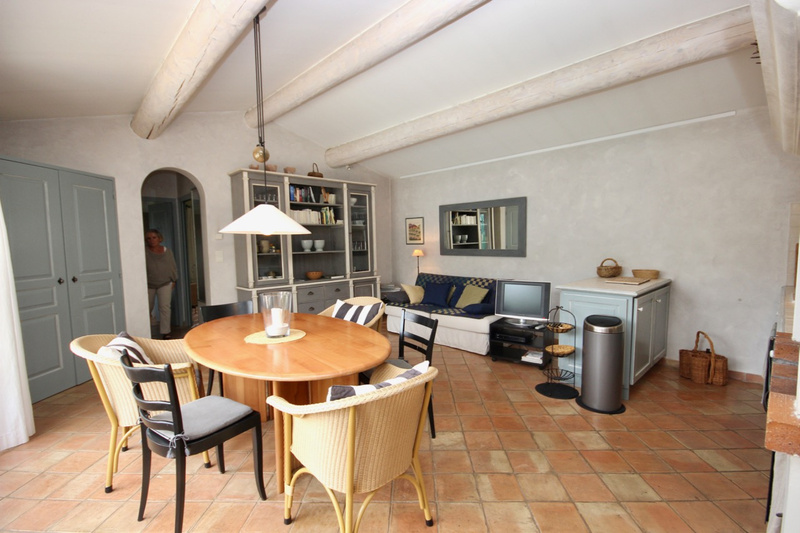 For Sale - Luberon - Spacious Property - Cabrières d'Avignon - 8 Rooms. 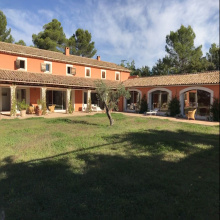 In a quiet residential area and a few minutes from the center of the village, house of 215 m2 on 3232 M2 of land planted with local species. 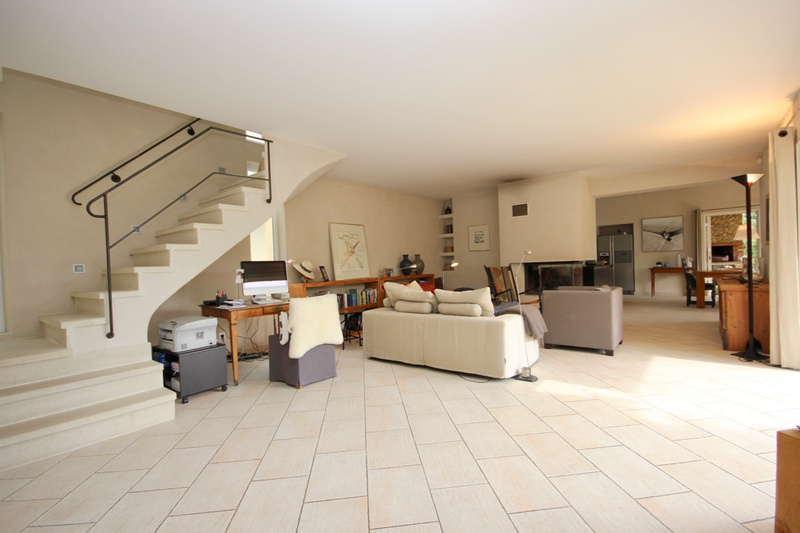 On the ground floor, it consists of a superb living room of 45 m2 access to a beautiful shaded terrace. 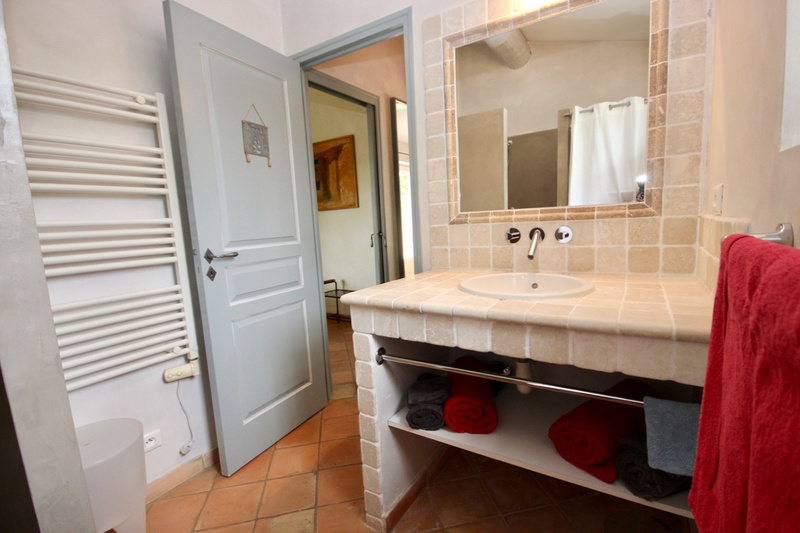 Equipped kitchen, bedroom with shower room and separate toilet. 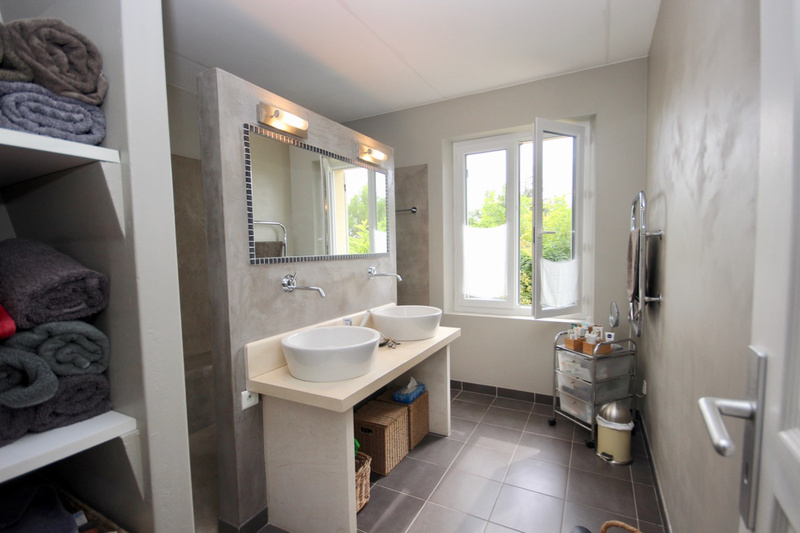 On the floor 2 rooms bathroom and separated toilet. 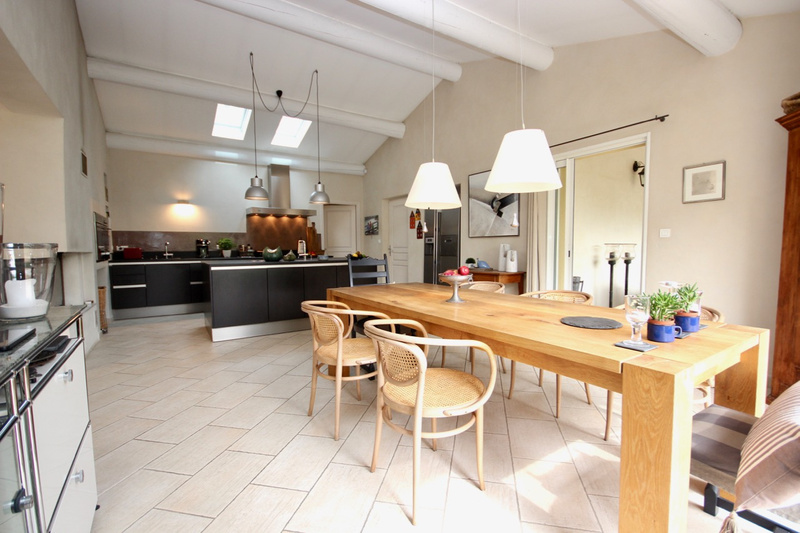 In annex, independent studio with kitchen, dining room, kitchen, bedroom and bathroom with wc. 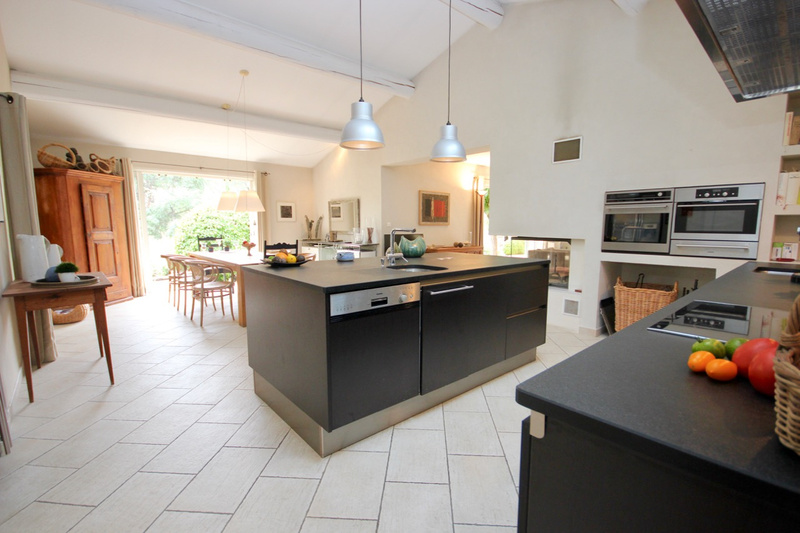 Underfloor heating with heat pump, watering and automatic gate. 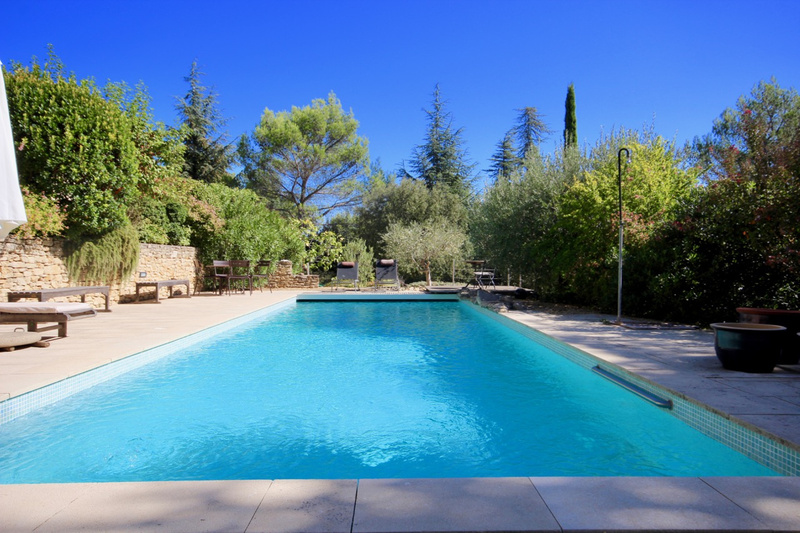 Superb heated swimming pool of 12x4, garage of 35 M2.